This week I will be sharing details on waxing furniture. I swear by waxes and have found that they can be the creative medium to restyling a piece of furniture. If you have painted furniture, then you are probably familiar with polyurethane. I always held my breath on this final step. 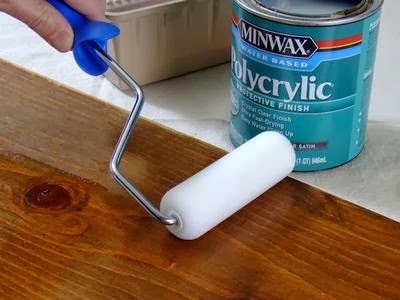 I would brush or roll it on, usually with a foam brush/roller, let the first coat dry, sand any areas or imperfections and then apply the final coat. Despite using the water based poly, I still feared the yellowing effect that could occur on my light colored pieces. I also tried oil based & wipe on. I didn't even mention how long it takes this stuff to cure! So I was completely open to trying alternative finishing products. That's when my world changed. A few years ago, I started seeing people in blogland use wax as their finish. 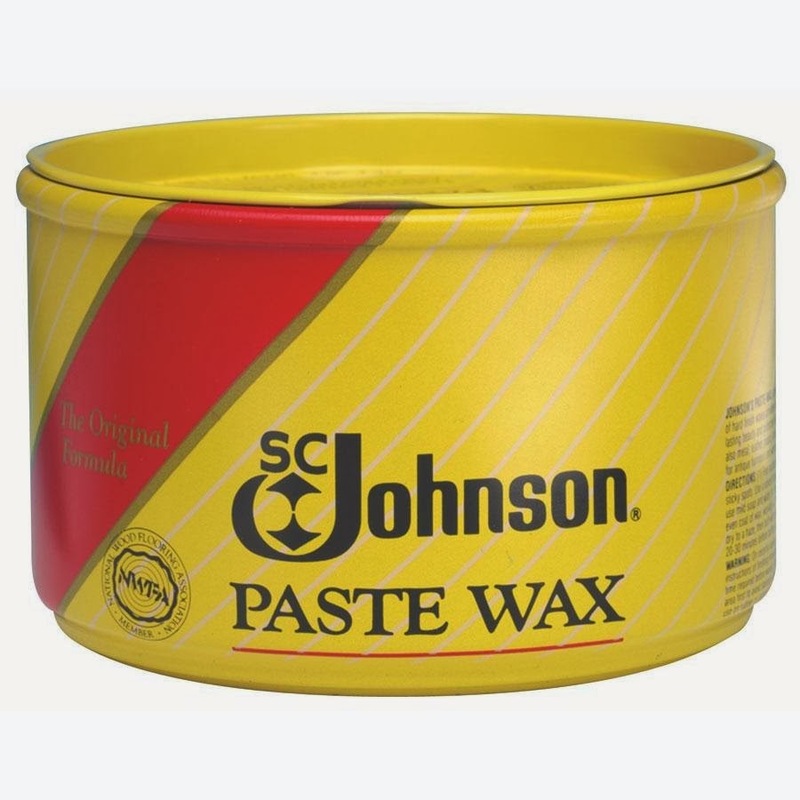 The only wax available at Home Depot was a paste wax. It was not even in the paint area, I found it with the car supplies! So, I used this for a while. It is a paste, so I would take my heat gun and warm the wax until it was liquid. Then I applied it with a rag. It worked well, better than poly and it became my method of choice. I eventually branched out and tried several furniture waxes as they became available. 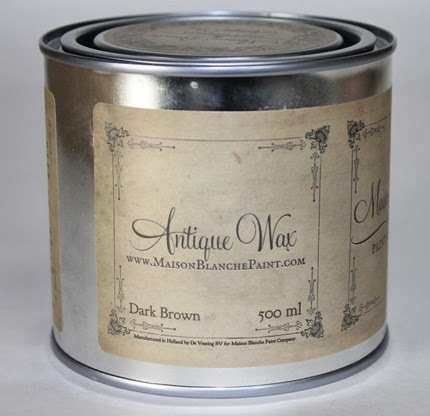 Fast forward to last year when I tried Maison Blanche Antique Furniture Wax. It completely changed my world! Yes, perhaps a bit dramatic, but when you use it nearly everyday, it really did change my life. This 100+ year old recipe goes on like butter. You simply pop open the can and wipe on. No heating, reheating, mixing or harmful vapors. Like butter, I tell ya! You apply with a rag or a brush. Within 20 minutes you can buff it to the desired sheen. Once dry, it provides a protective surface. No chance of yellowing your precious painted piece. Wait 48 hours and treat it like any other piece of antique furniture. People, please learn from my years of trial and error. This is by far the best product available and the reason I carry this product line in the shoppe. I will be sharing my latest custom project this week. You will see the power of wax and how simple it is to use. For the latest restyled furniture, vintage finds and new spring inventory please follow us on FB. We sell and ship all Maison Blanche Waxes. where can i buy this stuff?